Learn about cyberbullying, its prevention and reporting. 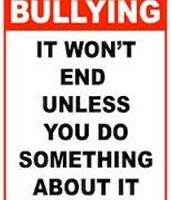 Never accept a bullies behavior. 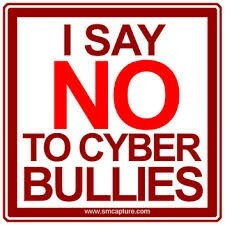 Do your best to end cyber-bullying. Notice the amount of victims and attempt to help those victims no matter the problem. Never leave anyone out of anything! 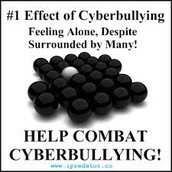 Be supportive to others and help. 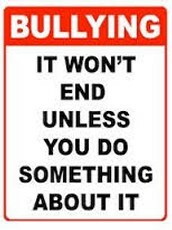 Remember the basic steps to stop a bully and to help the victim. Nothing stops by itself YOU must help to end cyber-bullying! 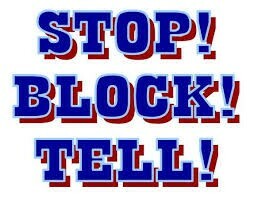 the use of cell phones, instant messaging. 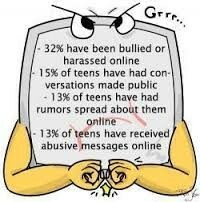 e-mail, chat rooms or social networking sites such as Facebook Twitter to harass,threaten or intimidate someone.